What is the World Scout Jamboree? 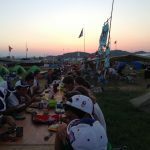 What is daily life like at the Jamboree? Participants will camp with their units in villages comprised of units from many countries. You might have a troop from South Korea, or Ireland, or Brazil, or Uganda camping next to you. Your patrol will send a representative to the “grocery store” to pick up food for the day. 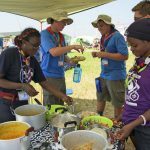 Cooking in patrols, you will quickly make breakfast and clean up so that you can participate in one of the Summit’s many high adventure activities. While at the Canopy Tour or Sustainability Tree House, you meet new friends from many countries. Some days you will participate in special programs aimed at learning more about community service, global sustainability, and peace. You will likely take your lunch with you on your day’s adventure. Dinner will be back at your unit campsite. Some nights you may ask a unit from another country to join you. They will make a meal that is traditional for their culture and you both learn something about each other. After dinner, there may be a campfire at your sub-camp, where you learn songs from many different countries. Maybe you’ll meet a few Scouts there from Ireland who invite you over for tea and to play cards. On the way, you meet Scouts from Lebanon and Croatia trading patches. Finally, you return back to your camp for a quick night’s sleep. Check our blog for more information about what Jamboree life is like. If you want to attend as a participant, you must be between the age of 14 and 18 (born between July 22, 2001 and July 21, 2005 (no exceptions). Adults over the age of 18 can serve on the International Service Team (IST) and as unit leaders. All participants, unit leaders, and IST must be members of the Boy Scouts of America. The WSJ Contingent is open to all Boy Scouts and Venturers who meet the age requirement. If you are an eligible girl who is not currently registered with the BSA due to age requirements, see “I’m a 12 or 13 year old girl” below. In addition, Scouts must meet the physical requirements for attending the Summit Bechtel Reserve, found on the Summit Health Form. I'm a girl who will be 14 at the time of Jamboree. Can I go? 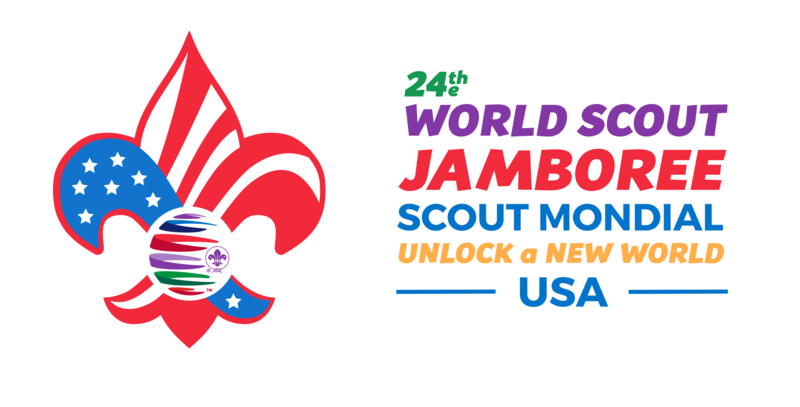 The World Jamboree is a coed event and all are encouraged to apply. 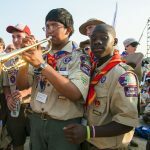 If a potential participant is currently not a member of the Boy Scouts of America due to current membership age requirements and would like to apply for the Jamboree, they should contact their local council. A council staff member must contact the US Contingent at uscontingent2019@scouting.org. Their email should include the youth’s name, the youth’s parent/guardian’s name and contact information, and a good time to contact them (the council staff member). A potential female participant must contact their council first and have a council staff member contact the contingent. How much will WSJ cost? Pricing for the WSJ can be found on the APPLY page. Total fees, along with a payment schedule, was published on November 1, 2017. 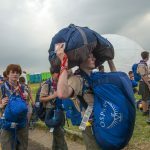 Cost is based on the WSJ fee, which is set by WOSM plus travel cost (which vary by region), Contingent gear (neckers, patches, etc…) and administrative costs.The World Scout Jamboree is an experience of a lifetime. In 2019, Scouts from the United States will have an opportunity to camp with thousands of Scouts from around the world without the cost of international travel. International Service Team (IST) – The IST fee will include all of the items noted above except for transportation and travel related expenses. Transportation to and from the Jamboree will be the responsibility of the IST member based on when they need to report or depart from their staff assignment. The World Jamboree Organizers (Host) will provide transportation to and from a limited number of Gateways to the jamboree site. Those Gateway locations are identified as Yeager Airport in Charleston, WV, Charlotte/Douglas International Airport in Charlotte, NC, the AMTRAK station in Prince, WV, and the Ruby Welcome Center in Mt. Hope, WV. *Early Bird Discount – applicants who submit a $250 deposit between November 1, 2017, and January 31, 2018, and make all additional payments on time will have a $100 discount applied to their last payment. Any payment made after March 15, 2019, is subject to an additional $50 late fee. For information on the Contingent Refund Policy, see here. A partial scholarship is available based on need. More information and an application link can be found on the Scholarship Page. How can I apply for the 24th World Scout Jamboree? The application system is open! Go to the APPLY page today! More information regarding applications can be found there. I'm looking for a step by step guide to the application process. You can find instructions on how to navigate the application process on our Resources Page. The Boy Scouts of America is limited to the number of participants and International Service Team Members it can send to a World Jamboree. Based on anticipated participation, space could be limited. Additionally, organizing a contingent of this size takes time. If you have submitted your application and not heard back yet, please be patient. Participants – Participants will be notified by unit leadership if they have been accepted or are being put on a waiting list. If they are put on a waiting list, they will continue to pay according to the payment schedule. Applicants on the waiting list that are not ultimately selected will receive a full refund (including initial deposit). Leaders – There will be four leaders per unit and acceptance timing will be based on the filling of youth in the units which have been allocated to each region. Leaders will continue to pay, according to the payment schedule even if they have not been confirmed. BSA area and regional leadership will select leaders based on the leader qualifications. Leader applicants who are not ultimately selected will receive a full refund. If a unit leader applicant is not selected for a unit leadership position, they are encouraged to consider modifying their registration status to that of an International Service Team member applicant. Once that modification is made in their application, selection for an IST position will be handled by the Host Team. Female leadership is important in order to follow BSA policy on co-ed units. Who will decide on who is selected to go as a participant or as a unit leader? When will those decisions be made? Decisions on members are made on a rolling basis, as applications are received. The timing could vary by Region/Area. Participants and Unit Leaders will hear from Contingent leadership if and when they have been selected. IST applicants are selected by the Host Team and may not hear until 2018 or 2019. What is IST and How Do I Serve on Staff? The International Service Team (IST) staffs the Jamboree. IST members must be 18 years old or older. They serve in many roles, including security, food preparation, program staff (zip line, rock climbing, water sports, etc…), first aid, and many other roles. The IST is an international corps; you will be working alongside staff from many countries. IST have their own camp and dining hall. They will have “time off” to enjoy the Jamboree and participate in some events. For Scouts who want to join the Jamboree, but are older than 18, this is a great way to participate. See “What is the Selection Process” to learn how Staff members are selected. You can find a more specific list of IST positions on our resources page. Unfortunately, it’s not quite that simple. While previous experience is absolutely a consideration, it is not a golden ticket. 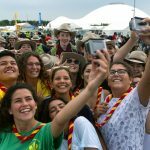 The World Scout Jamboree is staffed by Scouters from around the world and NSOs are limited in the number of staff that can attend. What does an IST member do? Just like any NSJ, program and operational responsibilities still have to be fulfilled. Think of any job to make a 50,000-person city come alive, and it’ll likely be there! You can find a more specific list of IST positions on our resources page. When will I know what job I have as IST? It takes a lot of specialized skills to host a World Jamboree experience. The Jamboree Host committee plans to make as many IST assignments as possible in advance of arrival at the Jamboree site. Consideration of factors such as a candidate’s skills, areas of interest, and experience will likely figure into the selection process. IST prospects will need to be cleared by their NSO before they can be considered for appointment to the IST. Please note that the primary role of IST is to serve the youth by helping deliver the World Scout Jamboree experience. When will IST members need to arrive? When will IST members need to leave? The Jamboree will be held at the Summit Bechtel Reserve in West Virginia July 22 to August 2, 2019. BSA IST members arrival and departure dates may vary depending on their position. At this time, the answer is probably not. 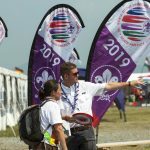 Staffing at a World Jamboree is different due to many factors. However, the ultimate decision for IST staff and schedules will be decided by the Host team and we will let you know if we learn of shorter team staff opportunities. What do the Adult Leaders Do? Each unit will consist of 36 Scouts and four unit leaders – one unit leader and three assistant unit leaders. Unit leaders are required to be over 21 years of age by the time of the Jamboree, except for the 3rd Assistant Unit Leader. Similar to BSA’s National Jamborees, the 3rd Assistant Unit Leader will be a “young adult,” between the ages of 18 and 21. These leaders are responsible for providing a safe Jamboree experience for the participants and for supporting the youth leaders in carrying out their responsibilities. Adult leaders will be selected on their experience, qualifications, and ability to provide supervision and leadership to the unit. How can I get more information about the USA Contingent? There are lots of ways to stay in touch with the USA Contingent (and we highly encourage you to do so!). The best way to stay in the loop with all things related to our Contingent is to follow the Contingent Blog, Facebook, Twitter, and Instagram. These are all public sites so you can view them without accounts on those platforms. Additionally, if you have specific questions about the USA Contingent, please send them to uscontingent2019@scouting.org. I want to talk to a real human being. How can I do that? The BSA contingent has top-notch BSA professionals working with it. To directly contact them, send an email to uscontingent2019@scouting.org. Questions about the application process can be directed to BSA’s Member Care at (972) 580-2489. How will we travel to the WSJ? 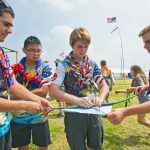 The USA Contingent will have representatives from all 50 States, US Territories and from overseas councils serving BSA programs to US citizens living abroad. Each region will have transportation plans appropriate for their trip to the Jamboree. Units of participants who live closer to the Summit Bechtel Reserve in West Virginia may travel by bus or train, while others might travel by air. The contingent fee varies based on the travel distance to the Jamboree. The participants and unit leaders from the USA Contingent will arrive on July 21st and depart August 2nd. 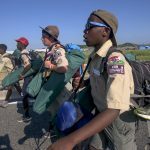 The BSA arrival day is a day earlier than the other contingents so that our contingent can help the Jamboree Organizers (Host) welcome other participants and leaders from around the world. Participants and unit leaders must travel with the USA Contingent from their “Hub City” to the Jamboree. “Hub Cities” will be in the continental USA (i.e. those coming from Alaska, Hawaii, Far East Council, and Transatlantic Council may need to provide their own means of transportation to and from the “Hub city”). More travel information will be available as the Jamboree draws nearer. What is a Contingent Kit? Each participant and IST member will receive a contingent kit that consists of patches, neckerchiefs, and other USA Contingent branded items to wear and take to the World Scout Jamboree. What gear will I need for the WSJ? The Jamboree will provide tent and patrol cooking gear for each unit. Participants will be responsible for bringing their own personal gear, including a sleeping bag and pad, Scout uniforms (Class A or Field Uniform), and casual Scout wear (Class “B” or Activity Uniform) shirts. While we don’t have a complete packing list prepared for the Contingent just yet, we encourage you to look to the 2017 National Scout Jamboree Packing List for ideas. What kind of weather can I expect at the WSJ? July in West Virginia is typically warm and humid, with temperatures during the day nearing 80°F and evening low temperatures around 62°F. Thunderstorms in the afternoon are common. Plan to bring rainwear, boots and gear appropriate for these conditions. The Summit has excellent cell and WiFi service. Basecamps, where you will be staying, have electrical outlets for charging your devices. Some participants bring solar chargers and extra batteries to assure they are powered up during the Jamboree. What do people wear at Jambo? For travel, evening shows, and formal events, participants will wear their full BSA uniform. But for most of the time, we will be wearing a scout t-shirt, shorts or pants, and a neckerchief. We’ll be very active during the day and the weather will likely be warm and humid, so dress accordingly. Participants will be issued a contingent neckerchief and a WSJ neckerchief. The WSJ necker indicates that you are an official participant. You will also be issued a security credential (name tag) that must be worn at all times. Scouts often give or trade neckers as a sign of friendship, so sometimes you will see participants with three or (many) more neckers around their neck. What's up with how Scouts tie their neckerchiefs? Scouts take their neckerchiefs (or “neckers” or “scout scarves” as they’re called in other parts of the world) very seriously. In some countries, Scouts use three people to roll and tie their neckers just right. You will notice that many Scouts don’t use neckerchief slides (also called woggles). Instead, they tie a special knot called the Friendship Knot at the end. This knot signifies the special bond of friendship Scouts have around the world and is a convenient way to keep your scout scarf together. You can learn to tie the Friendship knot in this video or this diagram. Who is in charge of the World Jamboree? There are three teams who are coordinating to make sure you have the best Jamboree experience possible. The Host Team is led by members from Scouts Canada, the Asociación de Scouts de México, and the Boy Scouts of America. They are responsible for planning the program and operations of the Jamboree itself. The USA Contingent Management Team (CMT) is responsible for organizing and supporting those members of the Boy Scouts of America who will be attending the Jamboree as participants, leaders, and IST. Every country attending the World Jamboree will have their own Contingent Management Team. Lastly, the Summit Bechtel Scout Reserve is working with the Host Team to make sure they use the Jamboree site as effectively as possible.